Cost: £50 per person for brunch with alcoholic drinks, or £45 per person with non-alcoholic drinks, available on Saturdays and Sundays only, between 12 and 4pm. About: This was a revisit to Chotto Matte, a Peruvian Nikkei restaurant set on Soho's busy Frith Street, you can read my first Chotto Matte review here. 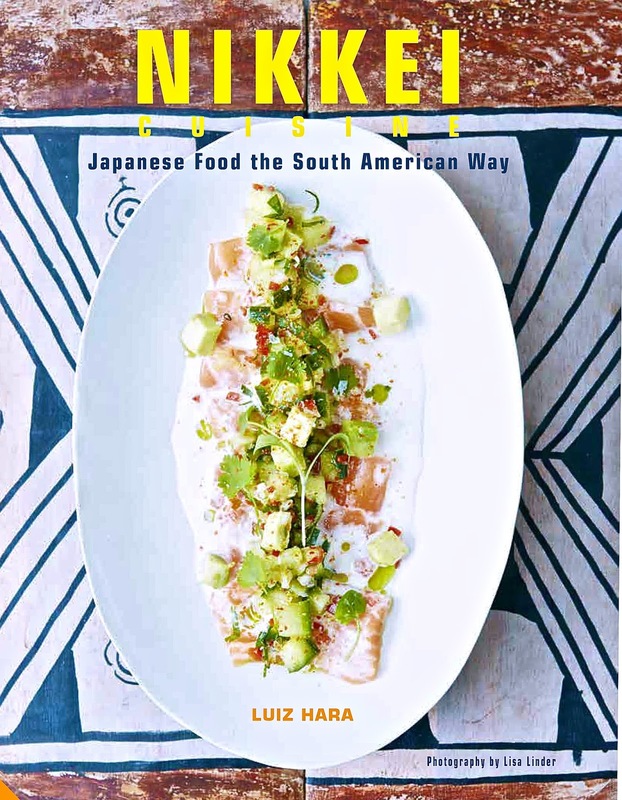 Born from the Japanese diaspora living in Peru, Peruvian-Nikkei cooking is much more than just a trendy fad – it was born out of necessity in the early 20th century as most Japanese immigrants lacked the necessary ingredients to cook their home fare. Instead, they resorted to using the fantastic produce of Peru, from Pacific fish and seafood to the high altitude vegetables of the Andes, and the fruit of the Amazon. Today, Peruvian-Nikkei cuisine is very much part of the mainstream diet in Peru, with dishes like Tiradito and Maki Acevichado being just as popular as ceviche or causa. I wrote about this style of food in my cookbook “Nikkei Cuisine: Japanese Food the South American Way” available on Amazon here. You will also find one of Chotto Matte’s recipes in the book as they kindly contributed towards it. Set over 3 floors with an outdoor seating area great for people watching, Chotto Matte has an uninterrupted funky soundtrack that certainly makes for a party atmosphere. The décor is bright and colourful with plenty of natural wood, stone and glass. On the ground floor, there is a vast, UV-illuminated mural created by Tokyo-based graffiti artist Houxo Que. Chotto Matte is undeniably a beautiful restaurant. What We Ate: There are two choices of brunch menus - one featuring fish and meat, and another for vegetarians. We tried one of each. We kicked off with a ceviche of seabass sashimi, served with sweet potato, crunchy Peruvian corn, coriander, chive oil and a zingy leche de tigre (tigers milk – the dressing used to ‘cook’ fish in ceviches and tiraditos). The vegetarian opener was Chotto Matte’s famous paper-thin vegetables – a crunchy and refreshing medley of daikon, carrot, beetroot, quinoa, physalis, lime and chia seeds. The fish sushi had a selection of fish, each topped with its unique seasoning. Tuna, scallop, and yellowtail were delicious, and I particularly enjoyed the salmon with dots of aji amarillo, and seabass with truffle cream. The vegetarian sushi selection was equally good and very creative – this included tamago omelette, nasu (aubergine), avocado, shitake mushroom, courgette and yasai (vegetable) truffle roll. The tempura course was Nikkei Sepia - calamari with an aji amarillo and yuzu emulsion (a Japanese citrus) with sugar and mayonnaise. I loved this but wished the portion was a tad more generous. The vegetarian tempura featured tender stem broccoli and shiitake mushroom, with a delicious scattering of tempura diced chilli. Though the batter was light and crunchy, the broccoli was slightly overcooked. From the robata grill, Asado de Tira was in our opinion the best of all dishes on the menu - a wonderfully tender beef short rib with asparagus, purple potato puree and teriyaki jus. The Pollo Den Miso (chicken with a miso-based sauce) was also excellent – this had deliciously smoky charred chicken, carrot, daikon and yellow chilli salsa. The vegetarian robata grill equivalent was Calabacin al la Parilla – this was a platter of chilli courgette, pickled shallots and crisp-fried sweet potato. We enjoyed this although we felt this was a little uninspiring and more like a side dish than a main course in its own right. The Nasu Miso was cubes of aubergine marinated in Japanese miso, with apricot, puffed soba, and sesame seeds. Both robata grilled options came with sake-sautéed broccoli with Huacatay sauce. I enjoyed this particularly for the sauce, a deliciously zingy one made with the Peruvian huacatay, a mint-tarragon type of herb which is the base of this sauce together with the fruity aji amarillo (Peruvian yellow chilli). For dessert, both menus had an intensely rich, creamy and bitter chocolate pot, frozen mochi balls of mango, and of yuzu, with a passion fruit brûlée topped with pomegranate seeds. The desserts were very well conceived - rich and intensely flavoured. The menu offers a choice of tea or coffee. If you visit the restaurant, not everyone in the table needs to order the same menu. For example a couple can order one menu each containing the vegetarian and non-vegetarian options. Even tough I felt that the non-vegetarian menu was the strongest menu, this way you would get the best of the variety that the restaurant can offer. What We Drank: There is a selection of alcoholic and non-alcoholic cocktails on the brunch menu, and we opted for the Bloody Mary – made with Belvedere vodka and Chotto Matte’s own cocktail mix. With the food, the menu includes a choice of a half bottle per person of a Prosecco, an Albarino or a Rioja Reserva. 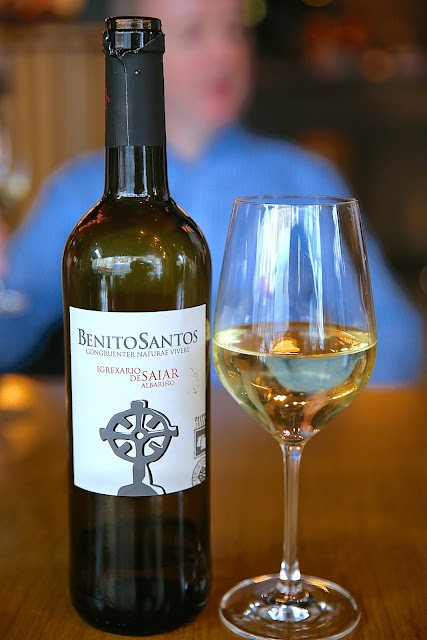 We chose the Albarino, Irexario de Saiar, Bodega Sucesores de Benito Santos, Spain, 2016. Crisp and refreshing, this had plenty of citrus, apricot characteristics to balance the flavours on the plate. Likes: The robata beef short rib was for me the highlight of the meal. We also enjoyed the sushi and particularly the vegetarian sushi platter. The Bloody Mary was refreshing and spicy. Dislikes: Some of the vegetarian courses were weak including the grilled courgettes, I would have felt short-changed if that was meant to be my main course. Verdict: Chotto Matte's brunch menu is a great opportunity to try a range of the restaurant’s signature Nikkei dishes, a cocktail and ½ a bottle of wine per person. 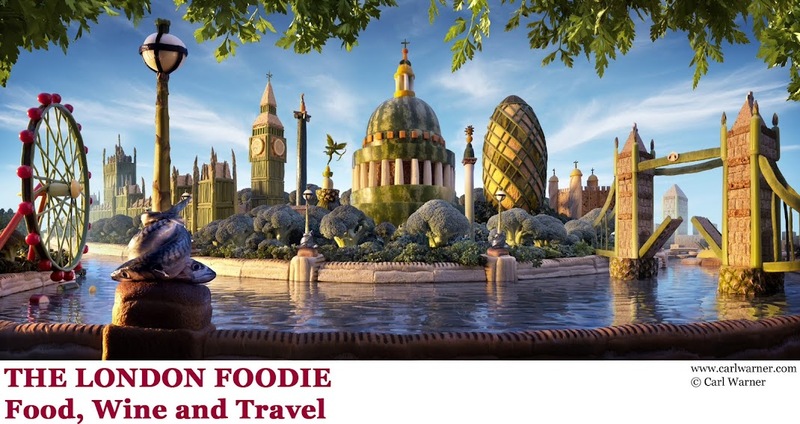 At £50pp, the quality and variety of food offered makes it a good deal not to be missed. Recommended.